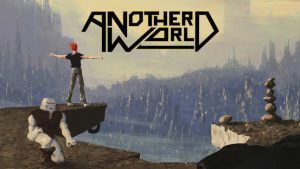 27 years after its first release, the cult classic Another World is landing on Nintendo Switch™. You will now be able to enjoy this piece of video game history everywhere you want in both TV or portable mode. In Another World, you follow the captivating journey of Lester Knight Chaykin into a strange alien world, where he must navigate treacherous locales, defeat menacing creatures and overcome perplexing puzzles in order to survive. The team worked closely with original creator and industry visionary Eric Chahi on this Nintendo Switch™ version, in order to staying true to the original feel of the game and its deep sci-fi universe setting. Switch between Retro and HD graphics and discover or rediscover revolutionary graphics and unprecedented narrative of one of the most remarkable video games ever made.